AV System — big screen TV, 5.1 sound, I wanted it all . . .
Color Backup Camera Install — When B&W will just not do . . .
Computer Desk — if you can’t have a Man Cave . . .
Doorbell (Wireless with Video) — Nerdy, but great for bumps in the night . . . Please point me in a direction if you would be so kind. Converted my Traveler to Dish. Purchased & installed the Hopper 3, DPH42 & Hybrid Node per the latest diagram. Turned everything on and the dish Install-Test Installation stalls at “Acquiring Satellite Signals”. The Winegard screen shows LG Dish 1000 *119 *110 *129. 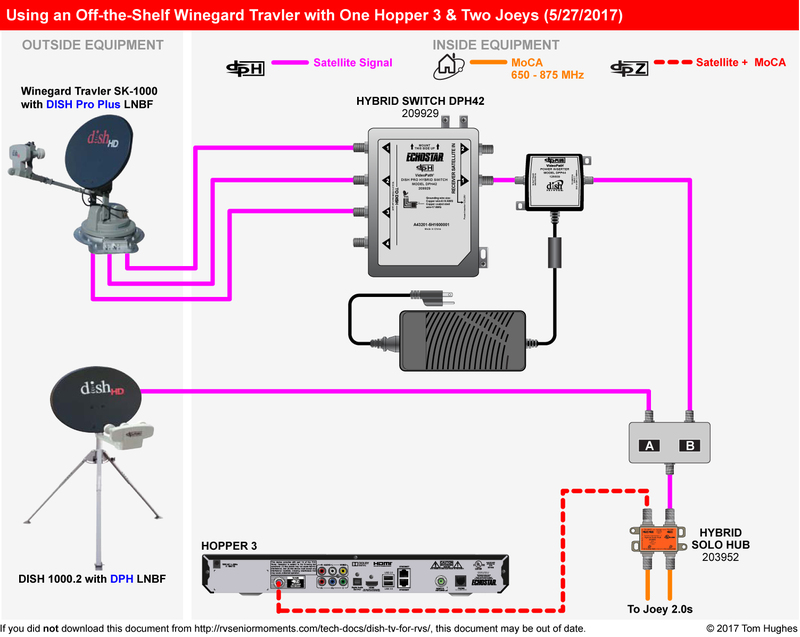 Dish Outdoor (PACE Ind) says Hopper 3 won’t work with Traveler. Outdoor Dish can’t help with Hoppers because they’re not trained on them. Working with Dish Residental and they want to send a tech out to check the dish. Bet they won’t be any help with the Winegard. When you say “converted my Travler to Dish”, what do you mean? Thanks for the heads up. I’ll fix it.